Originally posted: December 30, 2017 . Last modified: March 9, 2019 . 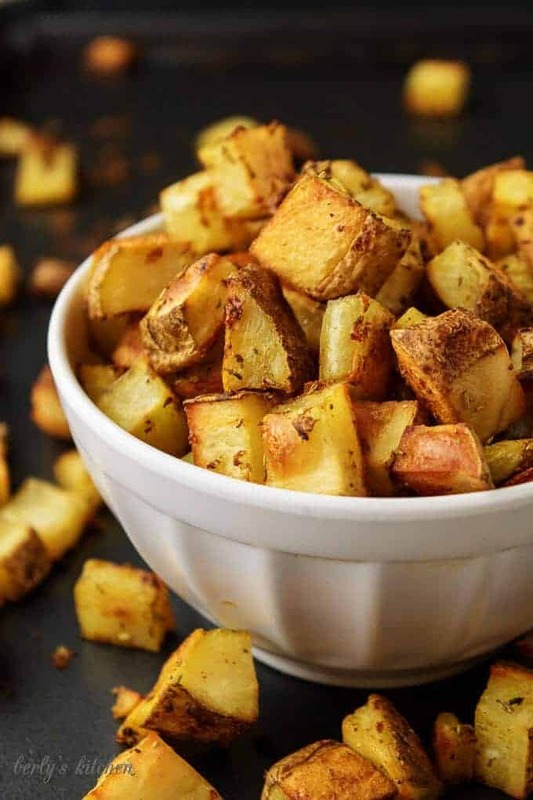 Home Fries Recipe – A good oven-baked home fries recipe starts with olive oil, is perfectly seasoned, and has a crispy crust. These potatoes are small enough to add to your favorite burrito, wrap, or slather with cheese sauce. They are even great all by themselves, and make an excellent addition to any table. 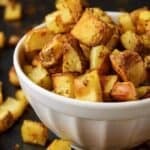 Everybody loves a great home fries recipe; however, few people know how to make home fries in the oven. Well, with this recipe, now you can make this classic breakfast side dish anytime you want. With only four ingredients, this is one our easiest offerings to prepare. 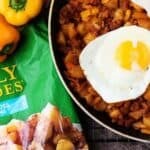 I invite you to try this home fries recipe for you and your family the next time you’re craving a crispy, savory side. Or, this St. Patty’s Day, consider combining this with our fried cabbage. Start by preheating the oven to 425 degrees Fahrenheit. 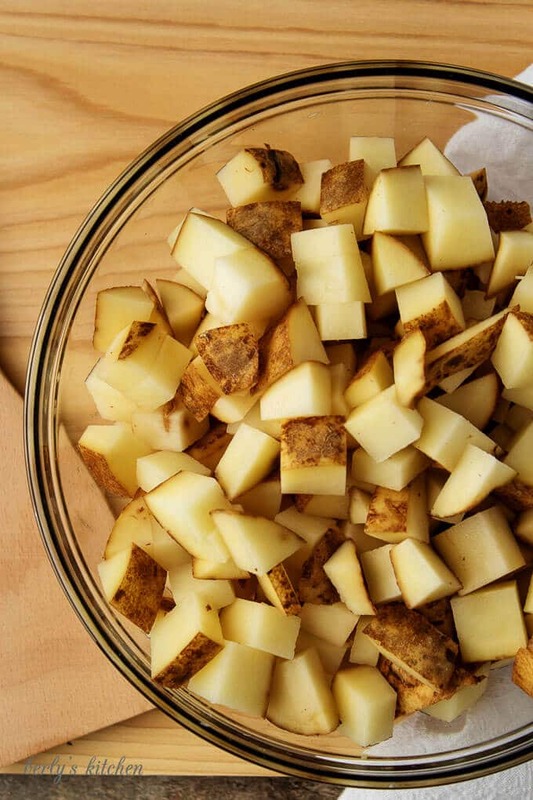 While the oven is preheating, wash the potatoes and prep them for dicing. Next, on a clean cutting board, dice your potatoes into a ¾ inch to 1-inch cubes. 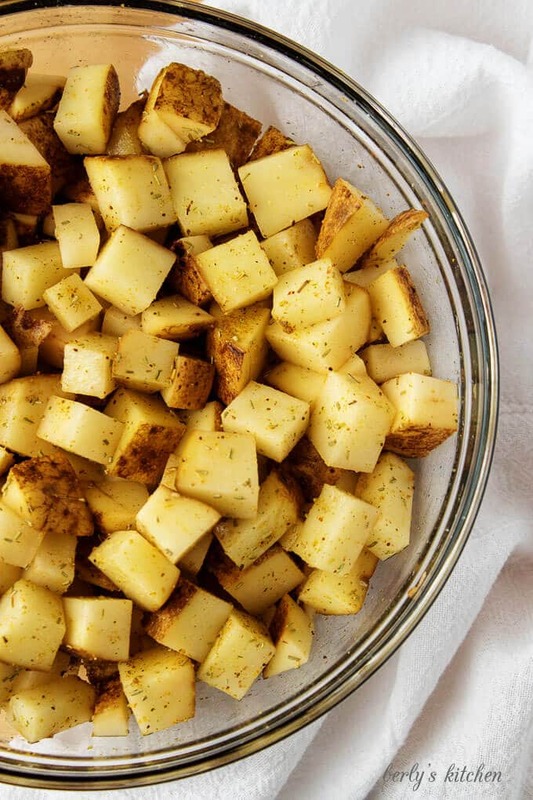 After the potatoes are diced, place them in a mixing bowl and add the olive oil, seasoned salt, and dried rosemary. Then, using your hands or two mixing spoons, toss the potatoes with the oil and seasonings. Afterward, place the oiled potatoes on a cookie sheet or 9 x 13-inch sheet pan. Last, bake the home fires in the oven for 35 to 40 minutes. Every 15 minutes, remove the home fries and flip them with a spatula. This ensures that the sides get crispy! Once they are done, serve hot with a side of eggs and toast or in a burrito. 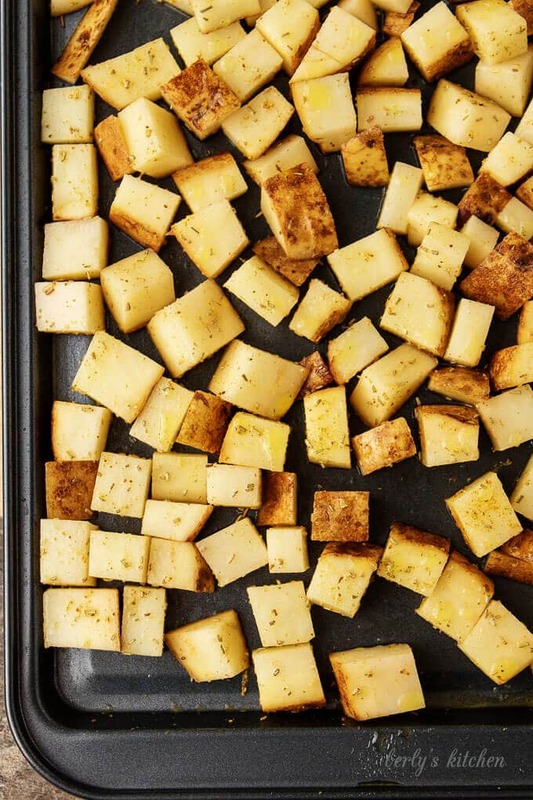 Spread out the diced potatoes on the sheet pan, if they’re too close together, they won’t crisp properly. Flip the potatoes every 15 minutes so all the sides are extra crispy. Don’t set the temperature higher than 425 degrees F. since we’re working with olive oil. When cutting the potatoes, make sure they are similar in size so they cook evenly. 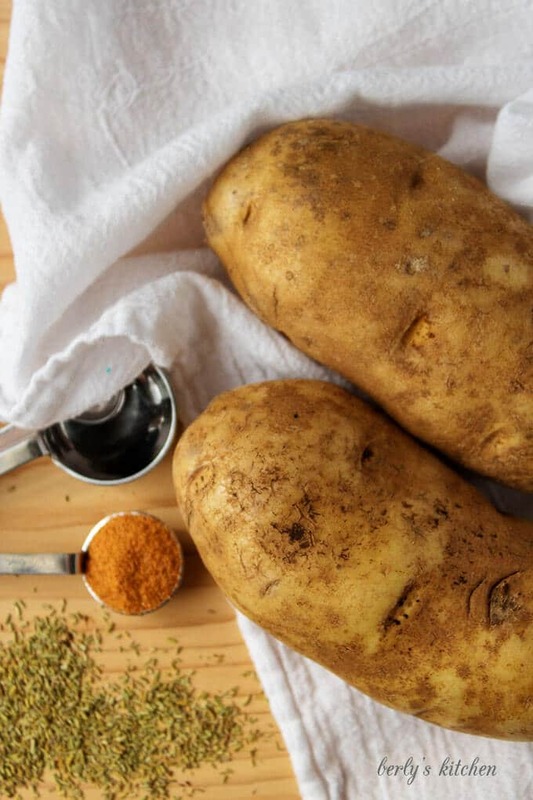 Slice your potatoes into shoestrings or wedges to make homemade fries. Drizzle the home fries with our cheese sauce and wrap everything in a tortilla for an awesome meatless burrito. 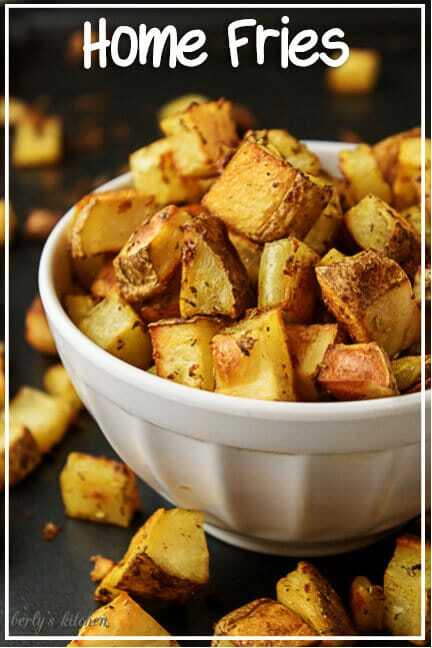 If you like this home fries recipe, please leave us a comment and rate the recipe card. You can also find us on Facebook, Pinterest, Twitter and Instagram searching for Berly’s Kitchen! The calories listed are an approximation based on the ingredients and a 1/2 cup serving size. Actual home fries calories may vary. My family would love these! They look delish. Thanks for sharing. Holy moly this look amaze balls!!! Looks absolutely delicious… the way you seasoned and cooked these is much different then I have done in the past. I will be testing these out on my family. I love the way you have written the instructions. Looks really easy to follow. We love baked fries 🙂 We live in a condo so deep frying is…challenging…because the smoke almost always drives the smoke detector crazy! And yes to keeping the skin on! Thank you, Jolina! I know what you mean about the frying, we live in a condo unit and frying is pretty much a no-go. Glad to meet another “skin-on” supporter lol! These look so good! One of my favorite brunch foods! These look delicious! 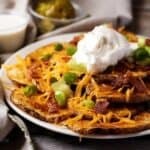 I’m always happy to find a new potato recipe! I bet these would be great using white sweet potatoes for a bit of a twist! These look delish! I love anything with rosemary in it! I love cooking oven potatoes. The crispiness is perfect. I usually put salt, onion powder, garlic powder, and parsley on mine. Is it dinner yet? My mouth is watering! So good. Pinned the recipe for later! These look fantastic! I bet I could eat a whole bowl of them. Those look so nice and crispy! I love finding ways to make potatoes. They are always good and easy to do! Can’t wait to try this! This look so delicious. 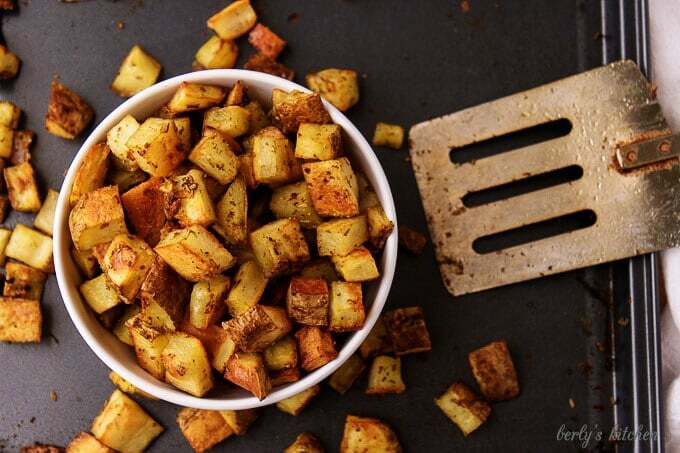 I could eat these potatoes with everything – not just breakfast. They are super good with poached eggs though. I usually end up eating that for dinner instead of breakfast, haha! Probably because I have more time in the evening than the mornings. I know what I’m making for dinner tonight! These look so tasty! Thank you, Quinn! That’s a wonderful idea, I will have to give that a try the next time I make these potatoes. How can you go wrong with more crisp?! LOL. These remind me of a diner by my house as a kid! I have to try them. Mmmmm thanks for sharing! I love home fries for breakfast on Sunday’s! These would be perfect for next Sunday breakfast!